Sky Beach Club will set the new standard for Las Vegas daylife with a high energy pool club opening at Tropicana Las Vegas in April 2016. The South Beach-inspired venue will embody Vegas' summertime party vibe with bikini-clad cocktail and bottle service, two luxury pools, VIP cabanas, a DJ booth and two bars. With an emphasis on delivering interactive experiences for guests 21+, Sky Beach Club will feature a robust entertainment lineup to include A-list celebrity hosts, top live music acts, beer pong and live table games. 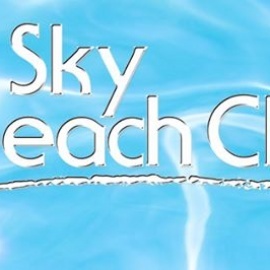 Sky Beach Club will be open Fridays, Saturdays and Sundays from 12 p.m. to 6 p.m., weather permitting. For cabana reservations and more information email SkyBeachClubLV@TropLV.com or call 702.739.2588.